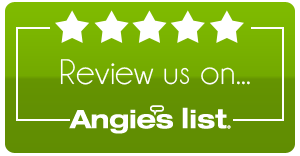 This is the type of business I would recommend... - Tree Times Inc. I wish to inform all those seeking tree cutting services to consider using Billy Kelley from Tree Times Services. He and his crew did exceptional work with a job well done!! My wife and I wanted to have several trees cut down in our backyard to ensure the falling Spring we could grow grass. To start, my wife spoke with Aces tree cutting service and they gave us their estimate. We informed them we had other tree cutting services coming by and wanted to hear other estimates before signing any contract. Aces called a few hours later with a slightly better offer if we were to sign with them that day. My wife told them to come back to the house Saturday morning to go over the contract with me, her husband, and that I would be the final deciding factor. After talking to other tree services, we decided to sign a contract with Mr. Billy Kelley of Tree Times Services. When we walked through our backyard we told him of our intentions. He informed us that many of the trees we wanted to take down could be saved by simply trimming the limbs “elevating” and we could still grow grass with ease and it would save us money. Mr. Kelley particularly pointed out a few oak trees that we could elevate instead of eliminating a 100 year old tree. We agree and thanked Mr. Kelley for advising us of this as none of the other tree cutting services suggested this offer. 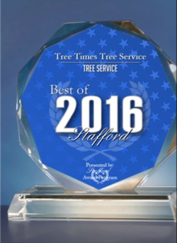 When everything was said and done we felt completely comfortable with Tree Times Service and signed a contract with Billy’s company. So that night I left a message with Aces tree service not to come by on Saturday morning and that we had chosen another tree cutting service. The very next day however the unimaginable happened. My wife and I left early on Saturday and when we returned we found several of our trees have already been cut down with tree tops pilled in our yard, garbage on our deck and ropes still in some of our trees. We called Billy and asked him if he had been by to start his work. Mr. Kelley answered “no, it wasn’t his crew.” So my wife and I went to our neighbors and asked them if they saw who was on our property. They handed us a business card showing Aces tree cutting service. To make a long story short my wife and I were very upset that Aces took it upon themselves to come onto our property WITHOUT our consent or worse yet a written contract and cut down our trees! To top if off two, of the trees they Killed were the Oaks that Mr. Kelley said he would simply trim and did not need to be destroyed. So after all that was done Billy Kelley understood that his original signed contract with us was deemed invalid due to Ace’s reckless actions and was quite understanding and assisted us with cleaning up the mess that was left behind by Aces. Mr. Kelley even took it upon himself to talk to other tree cutting services and then provide my wife and I a list of arborists to determine the damages. I think Mr. Kelley was more than helpful during this time and took time out of his personal schedule without pay to assist us on rectifying our situation. This is the type of business I would recommend and WILL absolutely use in the future when I ever need tree services conducted again.